A golden gate for the hackers with the new Blue QR Code of Windows 10. How can malware take advantage of it? 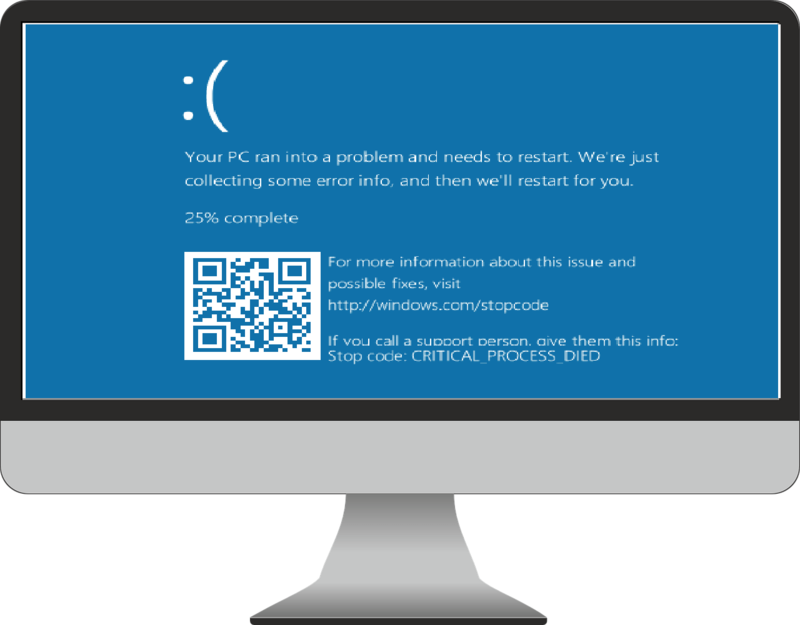 A QR code has been integrated to the famous Blue Screen of Death in Windows 10. This means that when you experience a crash of the Operating system, you will get not just the sad ASCII face, but also a QR box that contains an encoded URL. It is developed to lead you to a web page, providing more information about your problem. If you scan it with a smartphone or other mobile device, your browser will take you to an automatically embedded web page. Right now, it will only lead you to the windows stop code page, which explains the typical factors that cause the Blue-Screen-of-Death. In future, this page may contain more user-friendly details and information about the system crash, than just the plain MACHINE_CHECK_EXCEPTION. The QR code feature is not described in build 14316’s release notes, however, it has not remained unnoticed by the users. The test version with the new QR Code was released last week. Tough the idea is a good one, it will surely not remain unnoticed by the hackers. Keep in mind that they may take advantage of it and easily manipulate this Windows notification. Of course, the idea is to use it for some really nasty malicious purposes. It is literally beyond our imagination how much of “fun” they can have with this QR code. Just think about the possibility to fake a system crash by popping up a blue screen, or show a QR code that leads directly to a malicious web page, and fools users to open it in their web browser. Not only that, but once your PC has “crashed”, they may pretend to be a legitimate Microsoft update, offering to repair your computer, or sell you a crappy repair software and so on and so on…The possibilities of fraud with this notification are endless. We can only guess when and how they may appear. There is no need to wait to become a victim of the hackers and their nasty tricks tough. By staying informed you can always be one step ahead. Our “How to remove” team is dedicated to updating all users about the newest online threats and offer them free removal guides to help them deal with the hackers attacks. Follow our website and social media channels where you can inform yourself on the hottest news, some good security tips, and useful guides.